Looking for something to do this April with 60,000 of your closest, music-loving friends? Well, look no further than the Norman Music Festival in historic downtown Norman! With approximately 200 concerts over a three-day festival, the opportunity to hear some amazing music will be as easy as pie. The Norman Music Festival was started in 2008 as a one-day music event. This year, more than 570 musical acts have auditioned for the coveted 200 spots. The 2019 headlining bands are the Beach Fossils, Black Milk with band Nat Turner, Soccer Mommy, and more. With great music and the awesome festival atmosphere, there’s a lot to love about the Norman Music Festival. And with the people and shows, it’s easy to miss a few things. 1. Local Foodies – As the music festival has grown, so has the food scene. You’ll be able to sample the best of local fare as you jam along with your new favorite band. 2. The Cost – The Norman Music Festival is a free event. That’s right – no tickets, no covers. Just a city full of people enjoying great music together. This event is made possible by the Norman Music Alliance Inc Nonprofit and a worker base that is 100% volunteers. 3. Dust Bowl Market – Local vendors and artisans create an amazing outdoor market during the music festival. You can find one-of-a-kind and handmade items. From jewelry to home-decor, the vendors in the Dust Bowl are as unique as the bands. 4. Twenty Stages – With twenty different stages, you will find music from all kinds of genres – slam poetry, country-fried rock, indie rock, punk, alternative rock, and more. Whether you make it to every stage or find one you like and camp there, you won’t be disappointed in the music that you hear. Be sure to check the full schedule, especially if you’re looking for a specific band. 5. VIP Status – If you love being front and center to the main stage, getting to rub elbows with the bands in the hospitality area, having exclusive t-shirts, and a fancy-pants VIP lanyard and pass, then you’ll want to join the Sustaining Base. 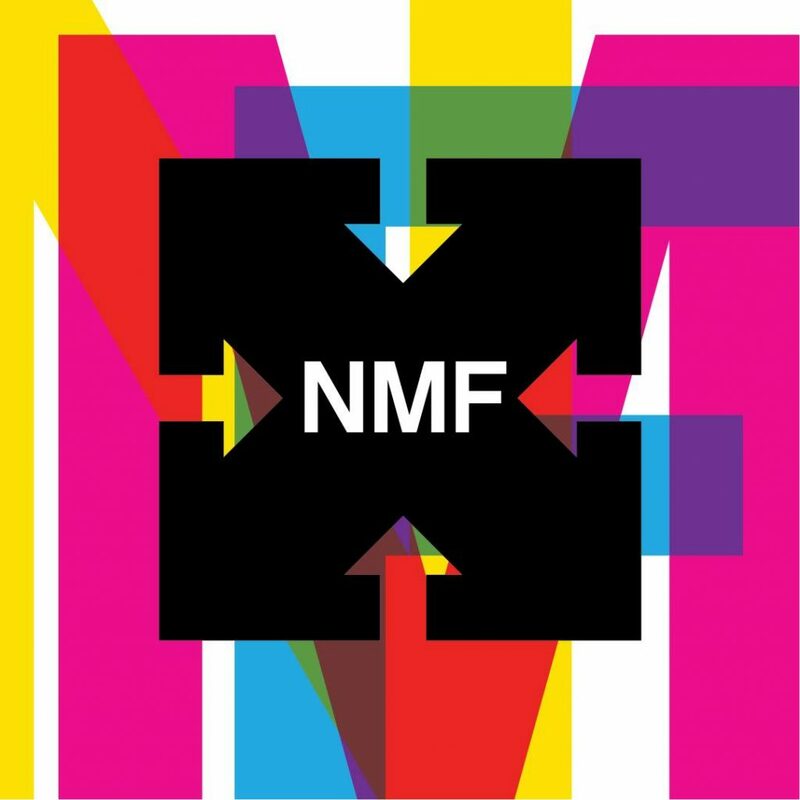 These VIP members have the “in” for NMF. The Norman Music Festival in 2018 is sure to be the best event yet. And for the best music festival ever, you’ll want the best night of sleep ever, to revive and reset for the next day’s activities. We invite you to stay at the Montford Inn. With amazing beds and delicious breakfasts, our hospitable staff will make sure you are ready for your day at the Norman Music Festival 2019. 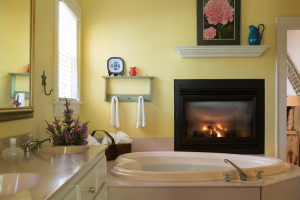 You can grab a soak in the whirlpool tub or snuggle up by a fire as you recharge and reset from the day. Ten cozy rooms and six private cottages await our music-loving guests in town for this amazing festival. Our hospitable staff will point you in the direction of your favorite band’s venue – either by foot or by car. We’ll make sure you have a rockin’ time – at the festival and back at the inn for some rest and recoup. We invite you to check our availability for this amazing weekend of music and fun – right in the heart of historic Norman, OK.
NMF graphic courtesy of Funnel Design Group for the Norman Music Festival.